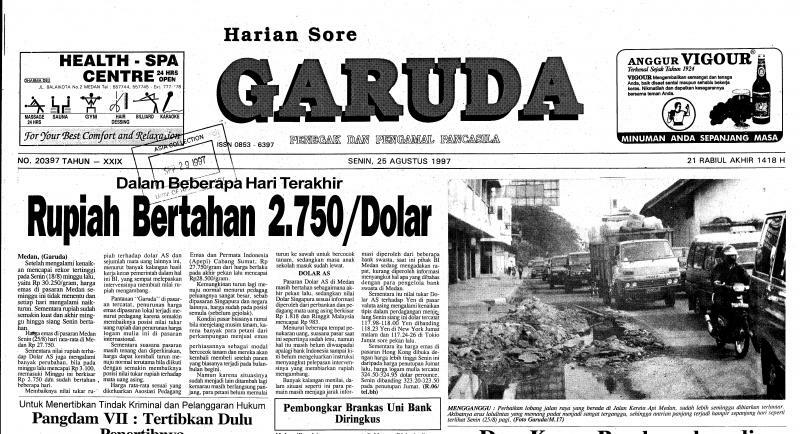 SEAM (Southeast Asia Materials Project) has microfilmed the years 1992–2005 of the Indonesian newspaper Harian Sore Garuda. This daily regional newspaper from Medan continued the Harian Garuda (a successor to the armed forces daily Harian angkatan bersenjata) and was published until February 2005. Copies of the newspaper were provided for microfilming from the collection of the University of Hawaii, the only holding library in the US.